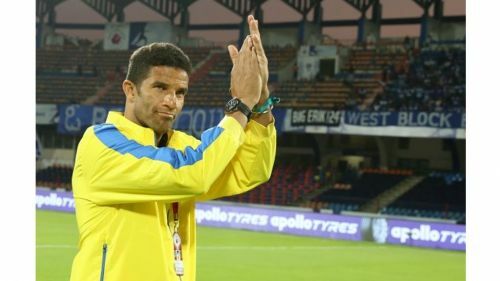 David James had boasted that the Kerala Blasters have the youngest average age for players in the present setup of the Indian Super League. It is a far cry from the ISL-4(2017) when Kerala blasters team was mocked as an "old age home" by critics for roping in footballers like Wes Brown, Dimitar Berbatov etc. The young crop of players which Kerala has roped in after David James has taken over seems to be delivering the goods for the team this season too, which indicates that Kerala has got the strategy right after a long time. Not just the players, the coaching staff at Kerala Blasters FC was also offered longer contracts to ensure continuity. Three-year contracts have become the norm at Kerala Blasters which ensures that the players get familiar with the place, coaching style and the level of commitment required from them. While other ISL clubs seems to be going after the one year plan of winning with quick superstars, Kerala has moved away from that image. 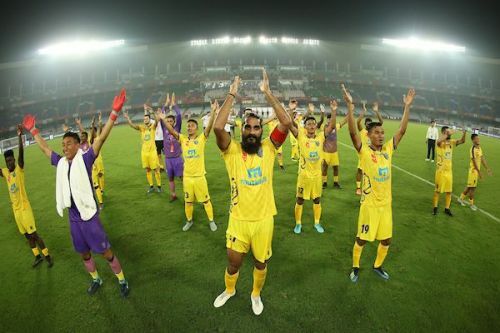 The recent contracts at ATK where the club has adopted the policy of going after tried and tested experienced foreigners in ISL is a clear feature of the lack of long-term thinking inside the Kolkata management. John Gregory was offered continuity at Chennaiyin FC and they had tried to maintain continuity with the same group of players, but additions and improvements to the last year squad with the newer crop of players seem to be lacking. Same is the case with Bengaluru FC where Carlos Caudrat was appointed to follow the legacy of Albert Roca, but has failed to grasp and invest in young footballers with a long-term strategy. Kerala, on the other hand, has initiated a new thought-process in Indian football which will define the game in the coming years.